Belmeko is manufacturer of industrial ovens up to 450°C. The ovens are made to measure from A to Z: Belmeko has its own engineering, production, assembly and after-sales service. There is the choice between gas, oil fuel or electrical heating. With its experience of more than 30 years, Belmeko is The Specialist in Ovens situated in Oostkamp - Belgium. 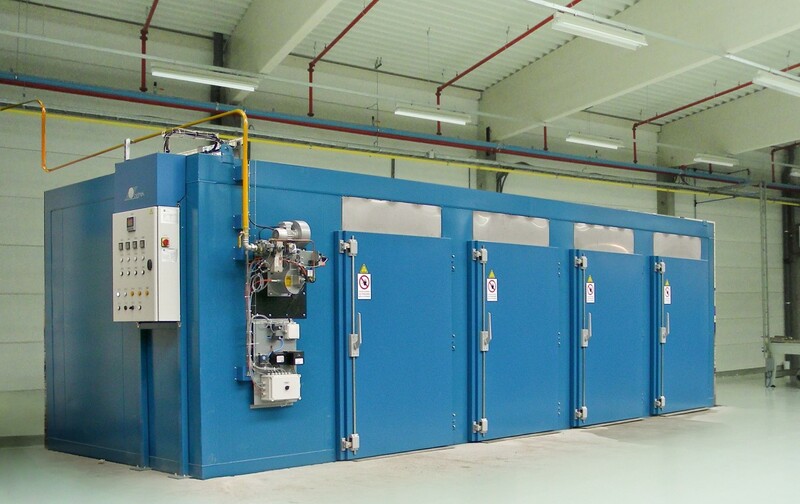 The applications of the ovens are very diverse: 1. heat treatment of aluminium, plastics,… 2. Drying after a chemical pretreatment; 3. drying of painted pieces (word, metal, plastics,/…); 4. Curing of powder coat ; 5. thermofixation of textile fibres ; 6. drying of ceramic material ; 7. Etc.